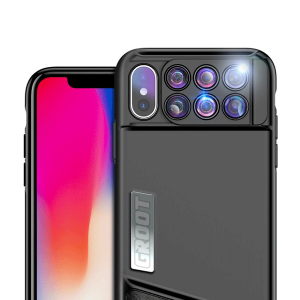 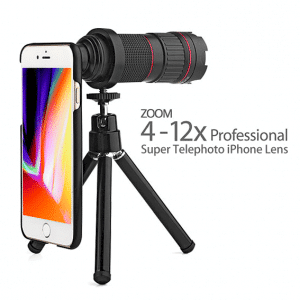 This new case iPhone X Lens Kit is a 6-IN-1 dual lens case for the iPhone X. 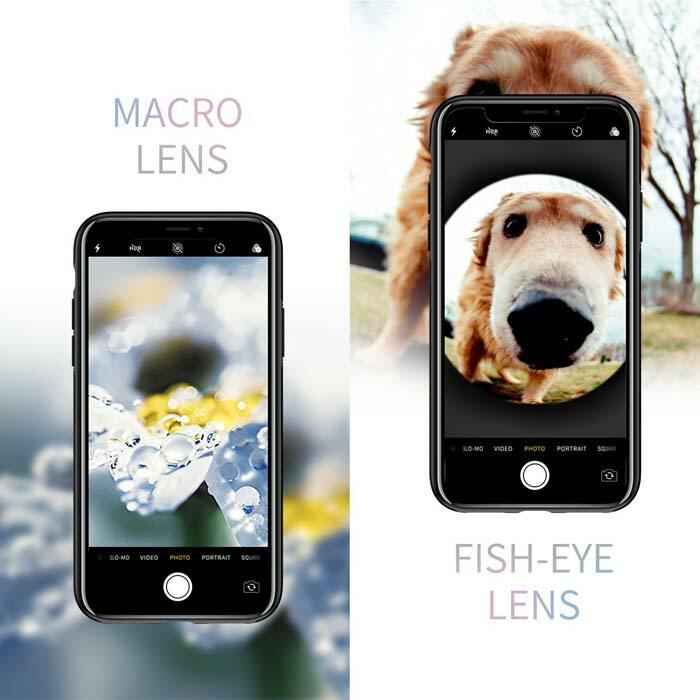 The dual optics design of the lenses allow you to use it with the two cameras on the dual camera system on the iPhone X. The 6-in-1 lens design gives an extremely compact size that is full of functionality. 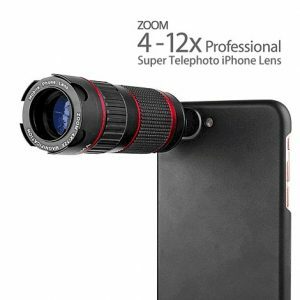 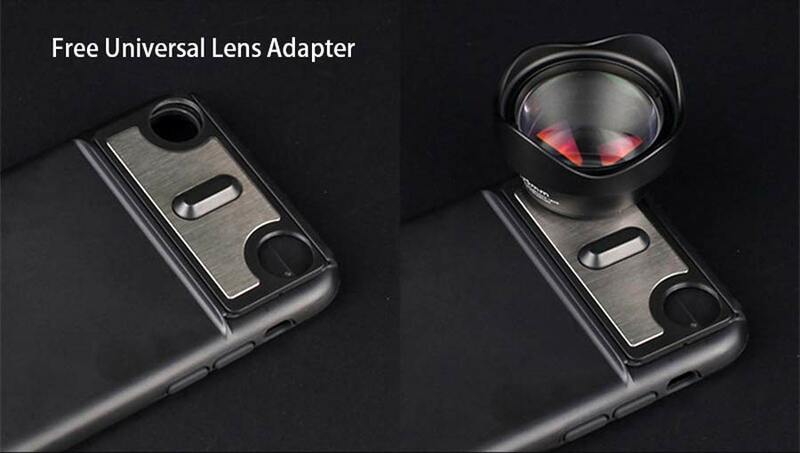 Case iPhone X lens kit’s design lets you quickly switch between the fisheye, wide angle, telephoto and macro lenses. 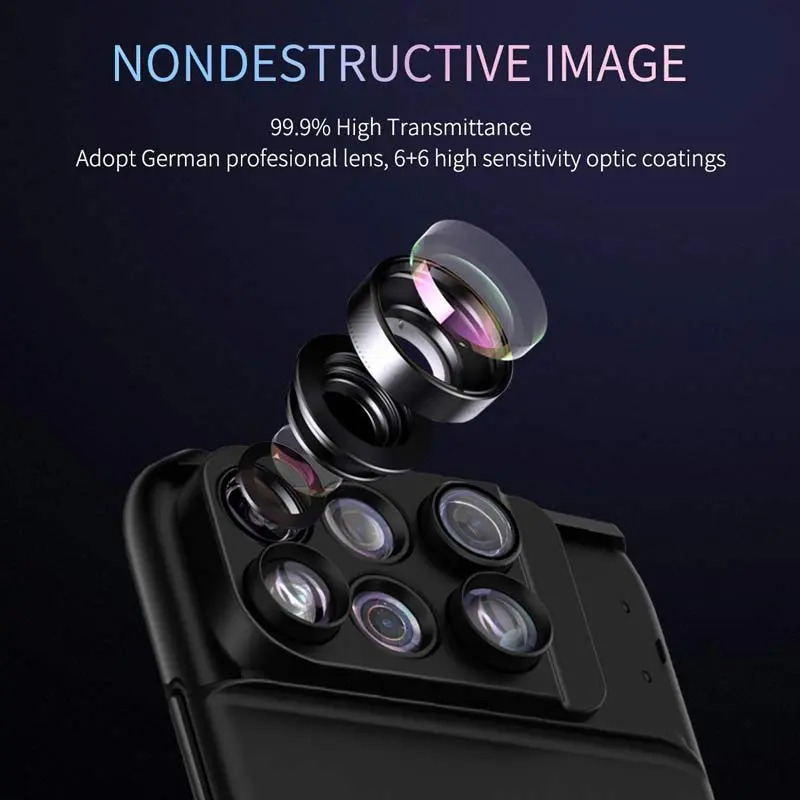 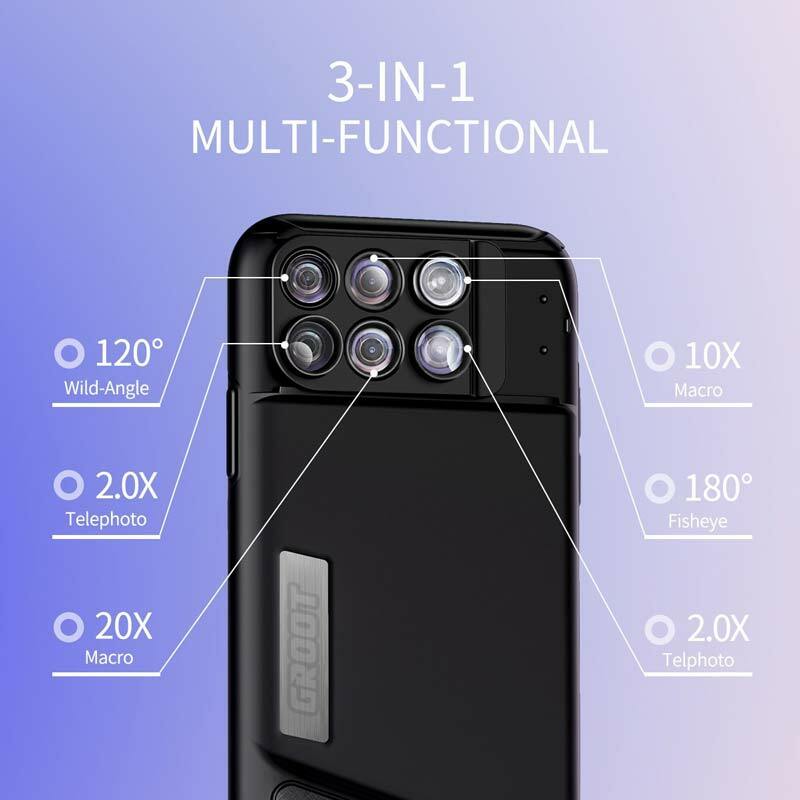 With the dual optics design, you have 3 sets of lenses that will work perfectly with the dual camera system on the iPhone X. 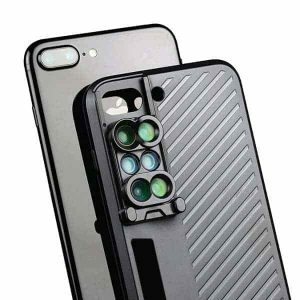 Unlike clip-on lenses, the iPhone X Dual Lens Kit is integrated into a phone case, so it’s always there when you need a shot, and it doesn’t fill your pockets with tiny glass. 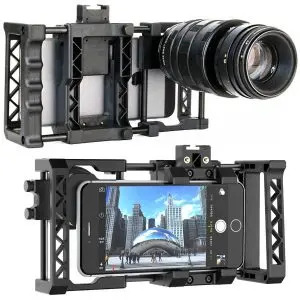 It also aligns perfectly with your iPhone’s camera every time. 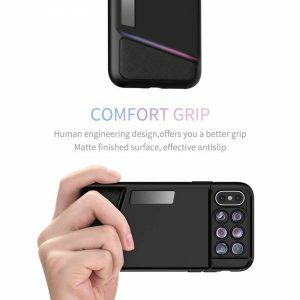 The shock-proof case is slim, while still adding good grip and an optional wrist strap for extra security. You can also remove the lenses whenever you need to. The iPhone X Dual Lens Kit offers all around dual layer protection for bumps and scratches and the raised lip protects your screen when setting the phone face down. 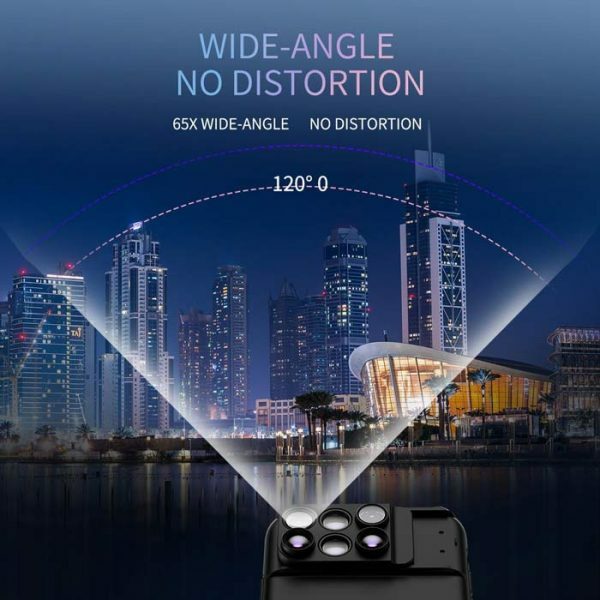 The cutouts allow for full functionality of all the ports and buttons. Weighing in at only 2 ounces, you’ll barely notice the case on your phone. 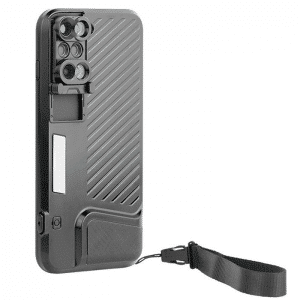 The slim and streamlined case is just 12mm, adding minimal thickness to your phone. 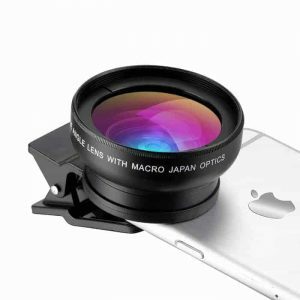 You don’t have to spend a fortune to get a quality designed case and lens. 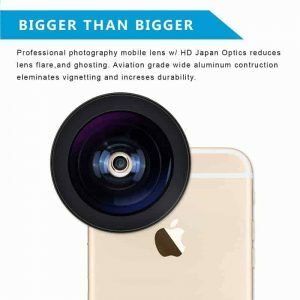 The iPhone X Dual Lens Kit is a low profile lens system designed in the USA. 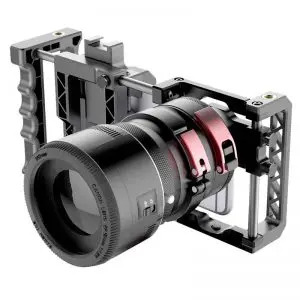 Get a free universal lens adapter and experiment with a variety of other lenses. Firm Grip case with 6 lens combinations is a steal. performance wise its better than all lenses i have used before, yes better than olloclip too.